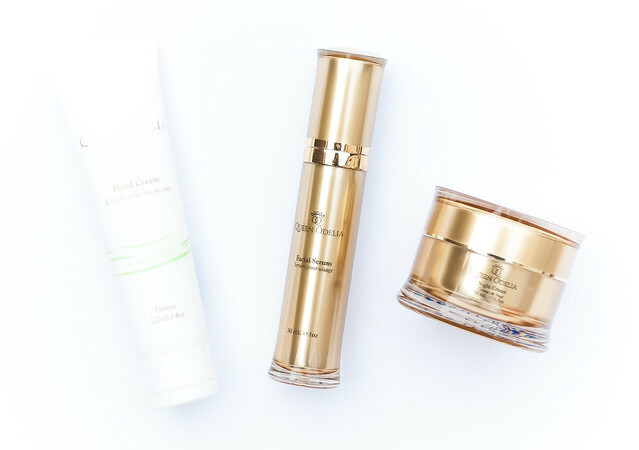 Today I thought I'd do a post on what skincare products I'm testing out at the moment, which will also give you guys a little preview on what reviews to expect from me in the coming month. Some of them were bought by me, some were press samples, and I'll be clear on which ones are because I want to be honest with everything for you guys. So, let's begin! These Queen Odelia products, the Facial Serum, Night Cream, and Hand Cream, were sent to me for review purposes by BPLinks. If you guys are looking at this brand and thinking "Wait, what Korean brand is that? ", well... it's not Korean. Queen Odelia is an Israeli skincare brand that focuses on using Prickly Pear Seed Oil and natural salts found in the desserts surrounding the Dead Sea. I'll give you guys more information on those ingredients and the products themselves later, but doesn't that just sound exotic? Or maybe it's just me, haha. So far I really like the textures of each product, but haven't used them enough to form an opinion yet. I also have a coupon code for you, my readers! Until March 15th, use gloriausdays to receive 20% off your entire order and free shipping on orders $50+. You can check out Queen Odelia's website and their products here. 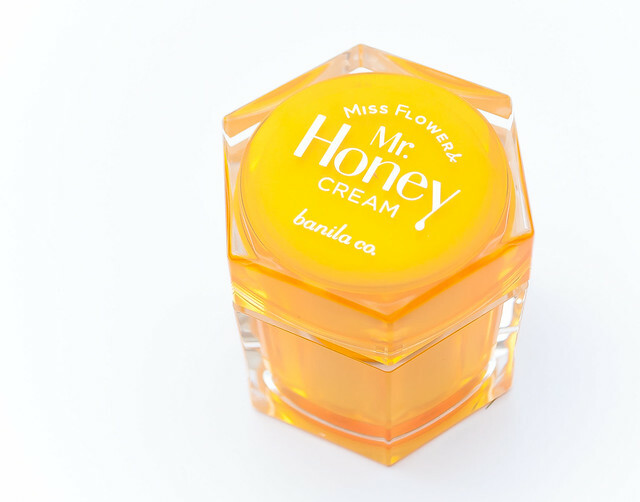 I've heard so many raves on this Banila Co. Miss Flower & Mr. Honey Cream, so when I was in Seoul I knew I had to pick one up to try. Alice actually got this for me as a gift when we met up in Myeongdong (if you'd like to hear more about our meet up, you can read my post here). I've used this quite a few times, but not consistently. It's a great moisturizer, but so far I don't have any other thoughts. Oh, and this smells amazing. It's like real honey but even better. This Beauty of Joseon Dynasty Cream was sent to me by Memebox for review purposes. 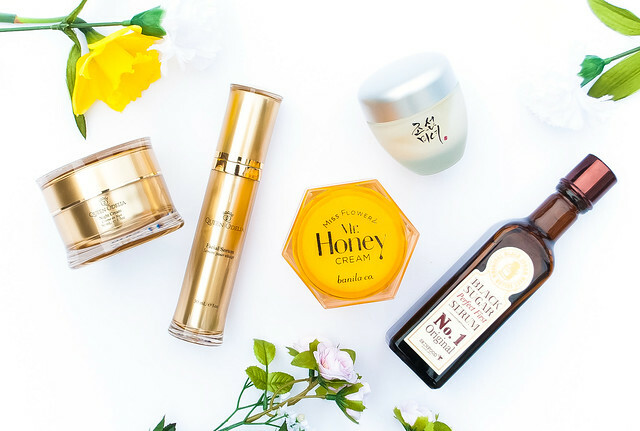 I know this is a product that's pretty popular with K-beauty bloggers (especially those that are active on Reddit), although it hasn't reached any level of fame in Korea yet. From the two times I've tried this I could tell immediately that this is not a day cream for oily skin, but would work well as a sleeping pack or a heavier night cream. I still need to test this out since I've used it so few times, so I'll give you guys more details in the actual review! 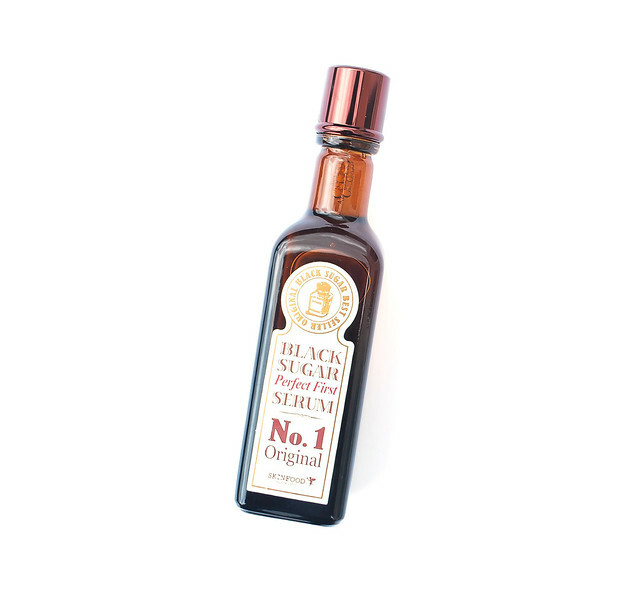 I've used this for a few weeks now, so the review for this Skinfood Black Sugar Perfect First Serum should be up by the end of the month. It's a nice moisturizing first essence type of product, but I'm not sure if it's doing anything else. Or maybe it's because I haven't been using it with the cotton pads that were included with it... hm. We'll see. Anyways, have you guys ever tried any of these products before? If yes, what are your thoughts on them? If not, are there any that you're interested in trying out? Let me know in the comments below! I might actually be posting a review later today, or tomorrow since all the pictures are ready and I've used it for awhile. Going to keep my New Year's resolution of being a better blogger this year~ I hope everyone has a wonderful week and thanks for reading!